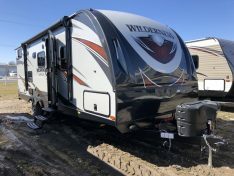 This 2020 KZ Spree Connect 201RBSE has everything you look for in a small size travel trailer. 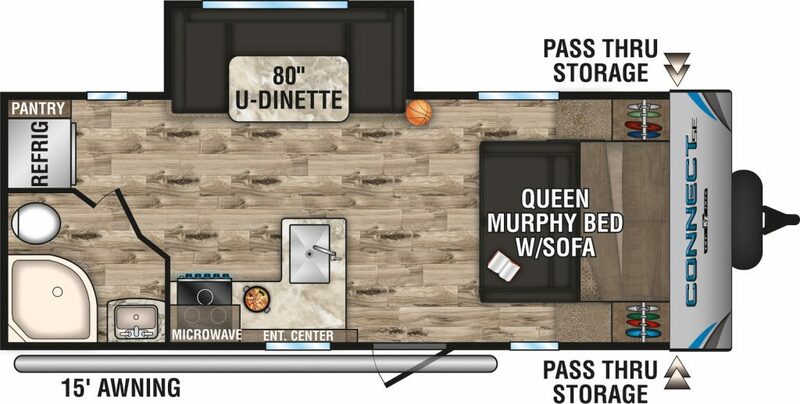 When you enter the 201RBSE you will see a murphy bed with sofa with storage along each side. The slide out u-shape dinette sits in the center of the 201RBLE across from the l-shape kitchen. In the kitchen you will find a 3 burner cooktop, oven, large sink and great prep space. 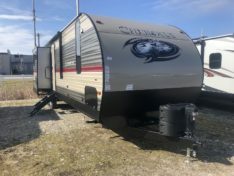 The Master bathroom sits along the back of the Connect Se with a glass corner shower, sink and foot flush toilet. 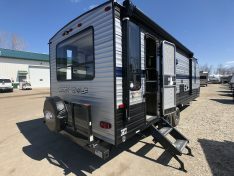 The 201RBSE Spree Connect SE is a half ton towable unit, weighting in at 4,690.